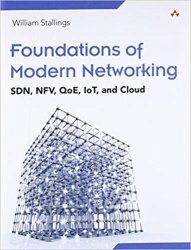 Foundations of Modern Networking is a comprehensive, unified survey of modern networking technology and applications for today’s professionals, managers, and students. Dr. William Stallings offers clear and well-organized coverage of five key technologies that are transforming networks: Software-Defined Networks (SDN), Network Functions Virtualization (NFV), Quality of Experience (QoE), the Internet of Things (IoT), and cloudbased services. The First International Conference on Advancement of Computer, Communication and Electrical Technology focuses on key technologies and recent progress in computer vision, information technology applications, VLSI, signal processing, power electronics & drives, and application of sensors & transducers, etc. 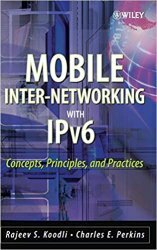 This authoritative reference provides readers with a thorough understanding of IP Mobility using Mobile IPv6 and companion advanced mobility protocols including network mobility and fast handovers. It illustrates basic concepts and principles behind the IP Mobility architecture and covers the practices using detailed protocol description. Of particular importance is how mobile networking will support billions of devices without restricting applications or overburdening network infrastructures, and how it will support the movement of users from network to network without compromising security. 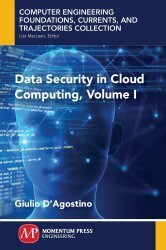 This book covers not only information protection in cloud computing, architecture and fundamentals, but also the plan design and in-depth implementation details needed to migrate existing applications to the cloud. Cloud computing has already been adopted by many organizations and people because of its advantages of economy, reliability, scalability and guaranteed quality of service amongst others. Readers will learn specifics about software as a service (Saas), platform as a service (Paas), infrastructure as a service (IaaS), server and desktop virtualization, and much more. Издательство: М. : Издательский дом "Вильямс"
Автор: Новиков Ю.В., Кондратенко С.В. Книга представляет собой краткий, но довольно полный обзор ключевых принципов, лежащих в основе архитектуры локальных сетей персональных компьютеров. В ней рассматриваются главные функции нижних уровней, реализуемые локальными сетями, а также алгоритмы реализации этих функций. 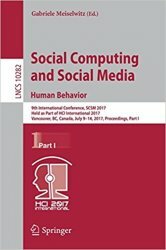 This book constitutes the proceedings of the 9th International Conference on Social Computing and Social Media, SCSM 2017, held as part of the 19th International Conference on Human-Computer Interaction, HCII 2017, held in Vancouver, Canada, in July 2017. HCII 2017 received a total of 4340 submissions, of which 1228 papers were accepted for publication after a careful reviewing process. 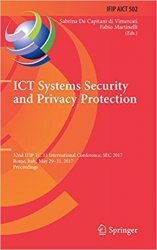 The papers thoroughly cover the entire field of Human-Computer Interaction, addressing major advances in knowledge and effective use of computers in a variety of application areas. 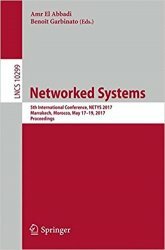 This book constitutes the thoroughly refereed conference proceedings of the 5th International Conference on Networked Systems, NETYS 2017, held in Marrakech, Morocco, in May 2017. The 28 full and 6 short papers presented together with 3 keynotes were carefully reviewed and selected from 81 submissions. They are organized around the following topics: networking; distributed algorithms; atomicity; security and privacy; software engineering; concurrency and specifications; policies; agreement and consensus; clustering based techniques; verification; communication. 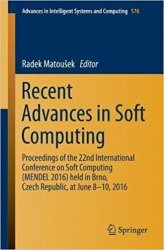 This proceeding book contains a collection of selected accepted papers of the Mendel conference held in Brno, Czech Republic in June 2016. 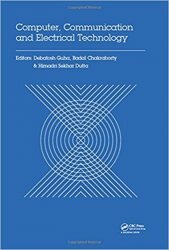 The proceedings book contains three chapters which present recent advances in soft computing including intelligent image processing. The Mendel conference was established in 1995 and is named after the scientist and Augustinian priest Gregor J. Mendel who discovered the famous Laws of Heredity. The main aim of the conference is to create a regular possibility for students, academics and researchers to exchange ideas and novel research methods on a yearly basis.